Tres bon séjour, par contre la restauration est très moyenne ainsi que les petits déjeuners, il y a de tout mais une qualité déplorable ou alors changer de chef. Accès direct à la plage. Chambre propre. Belle vue. Proximité des plages et piscines. Grande chambre. Personnel aimable. La situation de l'hôtel avec accès direct à la plage, la piscine. Vung Tau Intourco Resort This rating is a reflection of how the property compares to the industry standard when it comes to price, facilities and services available. It's based on a self-evaluation by the property. Use this rating to help choose your stay! 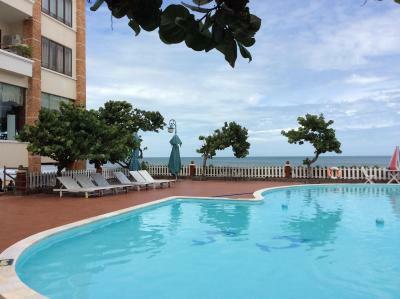 One of our top picks in Vung Tau.Located along the shores of Vung Tau, Vung Tau Intourco Resort offers elegant and comfortable accommodations with free WiFi access throughout the property. It features a private beach area, an outdoor pool and fitness center. 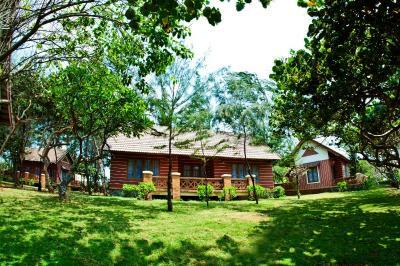 The property is just 1,000 feet from Nghinh Phong Cape and 1,300 feet from Christ of Vung Tau. 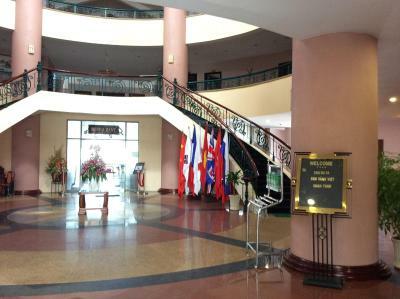 Tan Son Nhat International Airport is approximately 45 mi away. Airport transfers and shuttle services can be provided at a surcharge. Fitted with tiled flooring, air-conditioned rooms include a wardrobe, clothes rack, an in-room safe, mini-bar and a flat-screen TV with cable channels. The private bathroom comes with shower facility, hairdryer, slippers and free toiletries. 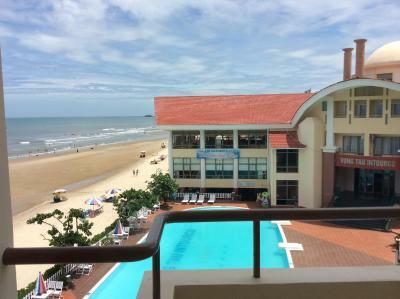 At Vung Tau Intourco Resort, the friendly 24-hour front desk staff can assist with luggage storage, laundry and bicycle/car rental services. 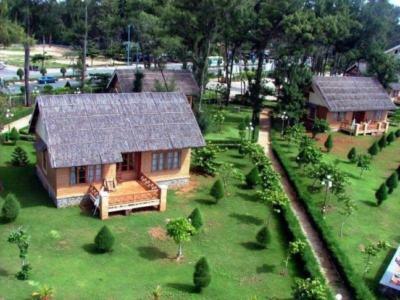 Sauna, massage and karaoke facilities are available, while tour activities can be arranged upon request. 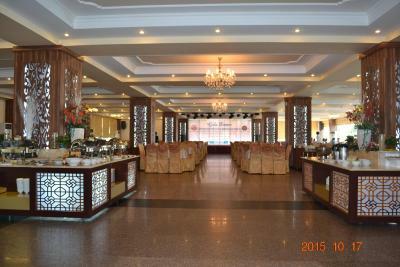 Housing a restaurant, guests can enjoy a tasty selection of local dishes on site. Meals can also be served in the privacy of guests’ rooms. 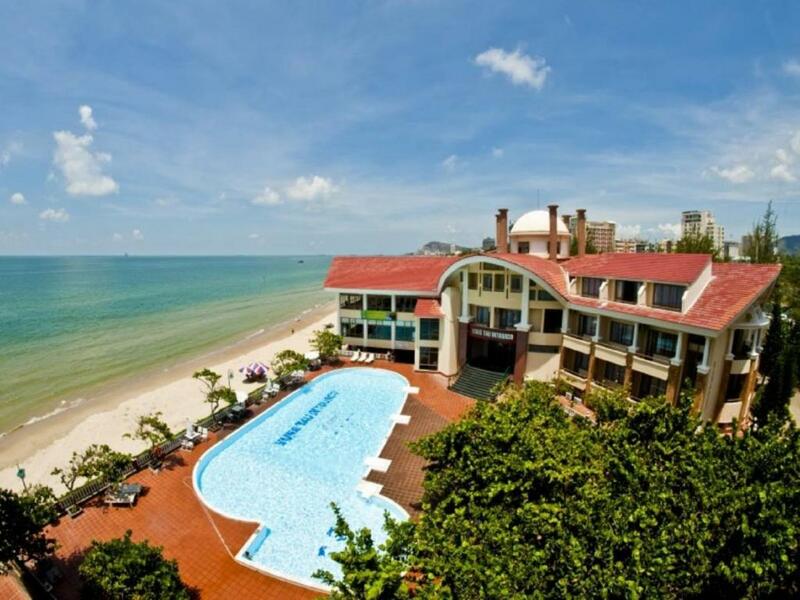 When would you like to stay at Vung Tau Intourco Resort? Offering garden views, air-conditioned rooms include a wardrobe, clothes rack, an in-room safe, mini-bar and a flat-screen TV with cable channels. The private bathroom comes with shower facility, hairdryer, slippers and free toiletries. 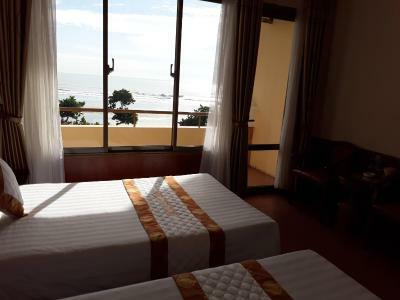 Featuring a balcony with sea views, air-conditioned rooms include a wardrobe, clothes rack, an in-room safe, mini-bar and a flat-screen TV with cable channels. The private bathroom comes with shower facility, hairdryer, slippers and free toiletries. 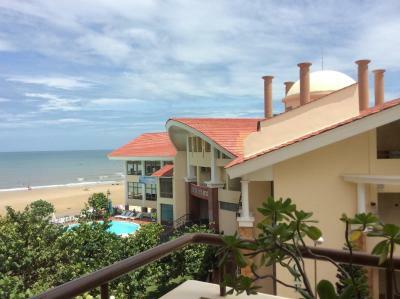 House Rules Vung Tau Intourco Resort takes special requests – add in the next step! 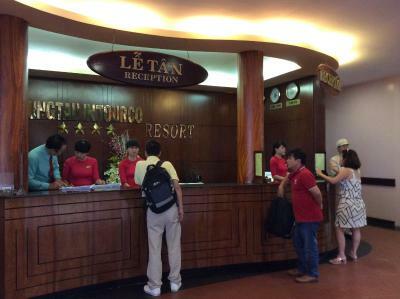 Vung Tau Intourco Resort accepts these cards and reserves the right to temporarily hold an amount prior to arrival. the hotel was right on the beach.